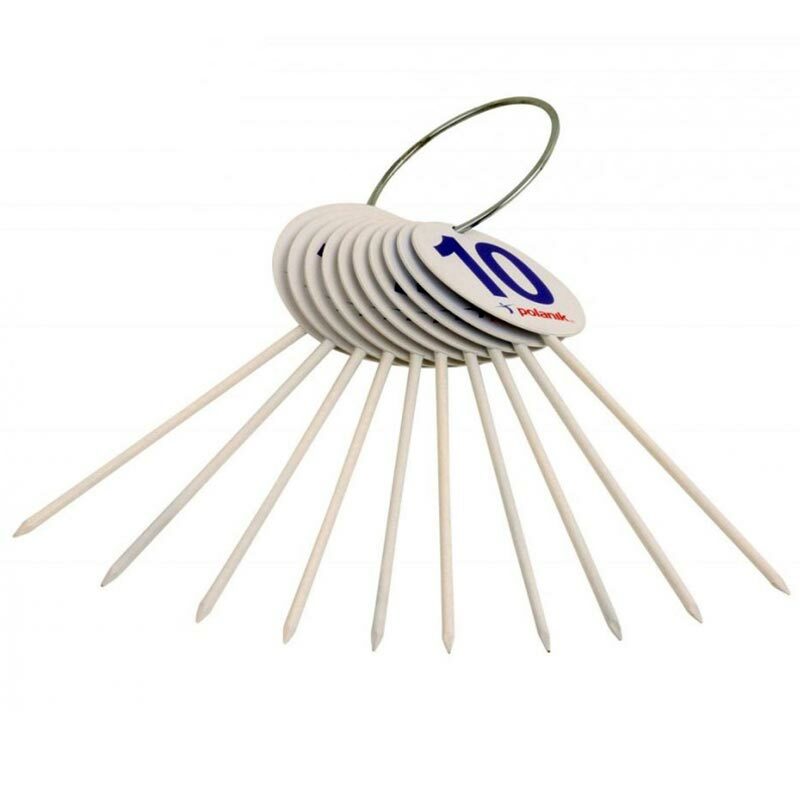 The Polanik ® Field Markers are designed for throwing events. Made from steel, painted yellow or white with black visible digits. Sold per set of 10 numbered 1-10 spiked. Size: 30cm high, 10cm diameter disc.